The Cure for Plate-out on fine Tooling Surfaces! Use on molds: injection, blow, extrusion, compression, rim, etc., dies and fixtures, and mold materials. Removes plate-out, oxidation and stains on surfaces of cavities and cores caused by various plastic processes. Provides a high luster finish on any tooling materials including plated surfaces. Restores molds and/or parts to a high luster finish. Shines diamond finished molds without spiral webs, cat-tails or fine micro scratches. Cleans and shines Acrylic, Polycarbonate, and other resins to a surface finish far superior than the original molded, extruded or cast surfaces. 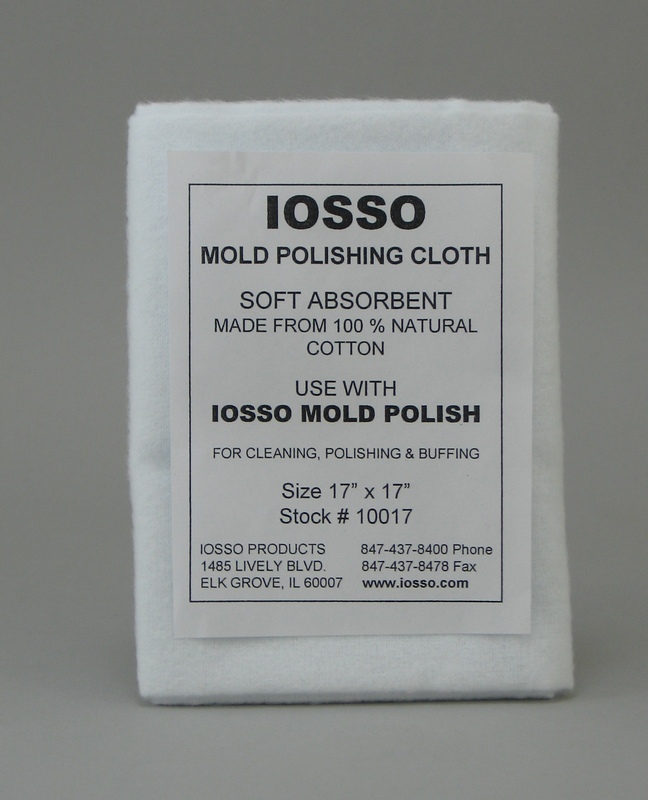 Very soft and absorbent 100% cotton cloth for cleaning, polishing, and buffing any delicate surface. The size is 17" x 17"
Removes oxidation, tarnish, surface rust, and water spots. Easy to use, just rub on, and buff off. May be used with a buffing wheel. Leaves a brilliant shiny protective coating that lasts for months. Recommended for use on all metals, porcelain, plexiglass, hard plastics and painted surfaces. Also removes black marks left from metal pots on ceramic or porcelain sinks. Use it on jewelry, sinks & faucets, silverware, musical instruments, buckles & badges. Great for removing the blue from motorcycle pipes. 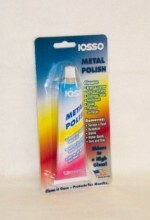 Bio-based Metal Polish removes oxidation, tarnish, surfacerust and water spots. It polishes to a high shine andleaves a brilliant protective coating. Recommended for alltypes of metal, hard plastics, painted surfaces, porcelain,marble and tile. This USDA Certified Bio-based product meetsCARB requirements for California. Non-Hazardous, no shippingrestrictions. Larger sizes are available.